One of the most popular segments on The Mornings with Mike Show is our Friday gardening segment. Each week we’re flooded with questions from The Family about how to help your pots, plants, veggies, trees, seedlings and everything in between – and Mike and Colin do their best to share their expertise. We hear ya family – you LOVE gardening! 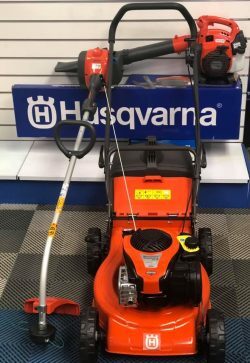 So we’ve teamed up with the incredible family at Keogh’s Mowers ‘n’ More to give away a Husqvarna prize pack valued at $1000! For 40 years Keogh’s has been a family owned and managed business, operating out of the same location in Willeton the whole time. There are 2 very simple ways to enter to win! 2. Join us for the Mornings Feel Good Friday Live broadcast at Warwick Stadium on the 2nd of November, you’ll be able to drop your details into the box and go in the draw. More info on the event here. The competition runs from 12th October – 2nd November 2018. One entry per person for entirety of competition. Questions must be submitted between 9 am – 10 am Friday Mornings. The prize is nontransferable and non-refundable for cash. 1x winner will be drawn November 9th on Mornings with Mike after 9 am. Prize must be picked up from Keogh’s Mowers ‘n’ More store in Willeton. General Competition Ts & Cs.